Have you ever stumbled upon a friend who would not stop boasting about his tinted windshield? This is not a surprise. Car windshield tinting does wonders for your comfort and safety in ways you probably have not thought of. Below is a list of advantages of a tinted windshield. A hot car is uncomfortable. You start to sweat and feel annoyed. No matter how long you wait for the air condition to cool the car, the hot sun just keeps scorching you. With windshield tinting, your car can stay cool and you would not have to worry about putting the AC on max for a few minutes before you enter in the car. Rather, you would be able to hop right in and drive away in comfort. 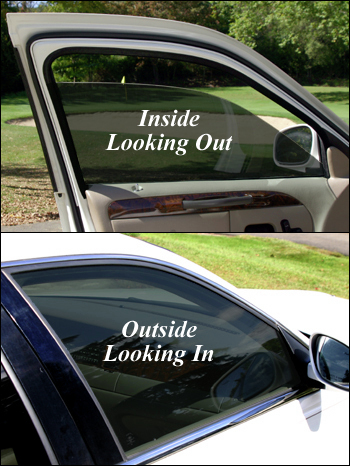 Windshield tinting shields you from sun glares and keeps you safe on the road. Just think back to the many times the sharp sunrays obscured your vision while you were driving. Glares are dangerous because they can cause you to get into accidents. With tinting, you would prevent 99% of UV rays from entering your car, which means that you will be less accident-prone. Sometimes people leave behind important possessions in their cars, such as purses and electronics, when they step out for quick errands. For example, if they are shipping mail at the post office, they might leave a GPS lying around. Though, leaving items out in the open might catch a passerby’s attention. It would be very unfortunate if that passerby turned out to be a thief. Tinting would solve this issue, blocking strangers from seeing what you have in your car. A car with cracking, old leather seats is not a pretty sight, and that is typically because of the hot sun. When you get your windshield and windows tinted, you are instantly protecting the leather seats. Also, you would be guarding the steering wheel and the dashboard from heating up and having similar fates as the leather seats. Windshield tinting makes the glass stronger and harder to break. Thus, if you get into an accident, the glass would be sturdier and have a higher chance of staying intact. This means you would be safe from any broken glass hitting you in the face. Windshield tinting exists for a reason, and that reason is helping you stay safe on the road all while being comfortable in your own vehicle.